Choose a sober driver or plan a sober way home before you start partying. Taxi services, sober family members, public transportation, and even walking are all options that can reduce your risk of arrest if you’ve been drinking. Keep the phone numbers of local taxi companies or other transportation with you when you go out. Not only will you have options for yourself, you’ll also have a way to help someone else who has had â€œone too manyâ€ get home safely. Treat your designated driver right. 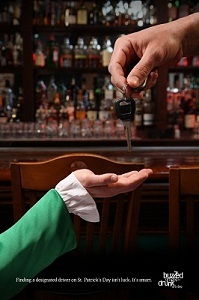 Offer to cover the tab for your driver’s non-alcoholic drinks and/or food. In New Hampshire, a drunk driving arrest or charge can have serious consequences, including the loss of your driver’s license and the use of your time, money, and energy to set things straight. If you’re convicted, the penalties get even stiffer. At Tenn and Tenn, P.A., our experienced New Hampshire DUI defense attorneys have successfully defended many New Hampshire drivers accused of drunk driving. We take seriously our commitment to providing an aggressive, thorough defense that protects each client’s legal rights and seeks the best possible outcome in each case. For a free, confidential consultation, call our office today at (603) 624-3700.